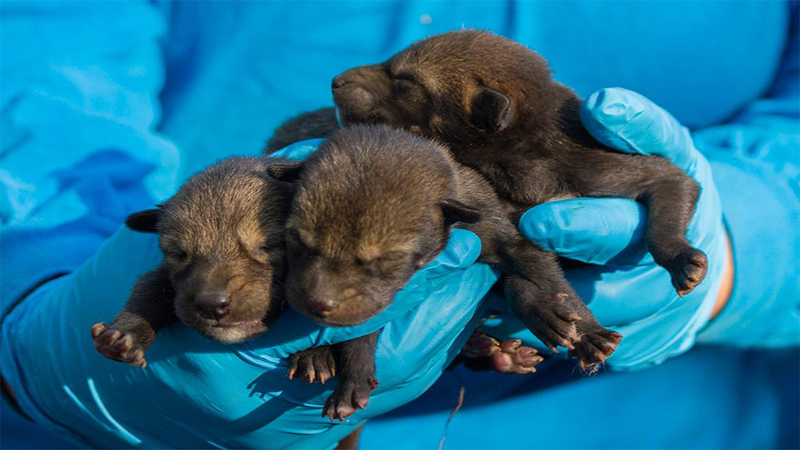 DURHAM, NC (WTVD) -- The North Carolina Museum of Life and Science in Durham has welcomed a new litter of red wolf puppies. There are fewer than 300 red wolves alive today, but on Saturday the museum staff welcomed two males and one female puppy, according to the museum's Twitter account. "The next month is filled with lots of work and so many emotions - covering the spectrum from excitement to fear. This first month is a critical time and survival is not guaranteed. Everyday the pups survive is a good day. One good day down. Hopefully many more to come," said Animal Department Director Sherry Samuels. The museum's Instagram account said that the new red wolf puppies and their mother will likely spend most of their time in either the provided den or one of the dens dug by the female.